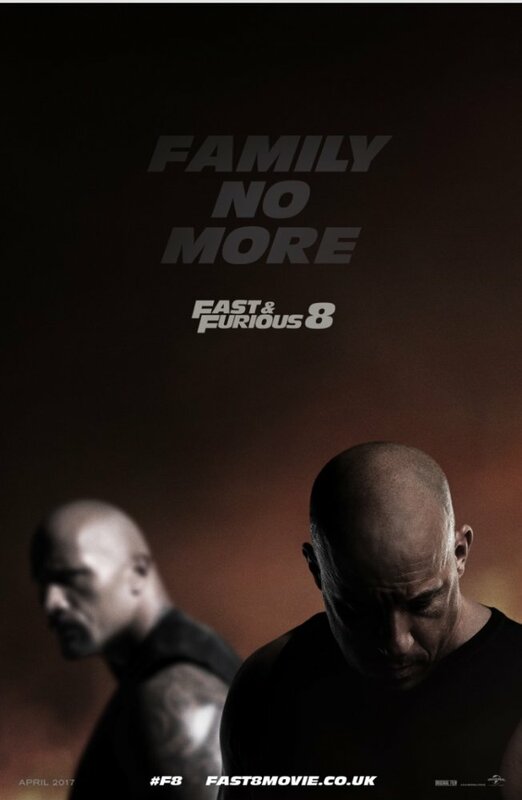 What better way to follow-up Furious 7’s side-splitting case of cinematic appendicitis than for The Fate of the Furious to metastasize its way to the kidneys and build up heavy, painful, impassable stones. I’ve come to hate this franchise – and I mean HATE – not because of its jet-fueled flamboyance, but because its familial bond has become the Steve Urkel of Family Matters, throwing one another under the bus and cackling back with a galling, “Did I do that?? ?” The titles are now as arbitrary and pointless as Dr. Seuss’ Thing 1 and Thing 2, and as movies, they’re just as inscrutable and synonymous from one to the next. These are not films; they’re captured rollercoasters, which, for the most part, go from 0 to 60 so fast that the human element has been beheaded and left to bleed out for our amusement. The gangs all back again. Dom (Vin Diesel) and Letty (Michelle Rodriguez) spend their honeymoon in Cuba. He’s chased down by old demons, leveraged by the cyber terrorist Cipher (Charlize Theron), and turns his back on the family for reasons we come to learn later on. That is, essentially, the entire scope of the film in a nutshell. But because these movies are more concerned with chasing and bottling lightning than they are conducting plain electricity, it all becomes buried deep within a hibernating nesting doll. The Nitrous Oxide that once pushed the cars to the limit looks to have bled out into the franchise’s nervous system, and it seems as if the films can only function and hold a steady hand when their cylinders are revving past full throttle. Roman Pearce (Tyrese Gibson) still yells a whole lot because apparently that’s all the actor is willing to do at this point (remember his performance in 2001’s Baby Boy? The man can act, but these roles don’t let him). Tej Parker (Ludacris) is a walking and talking sarcasm device. 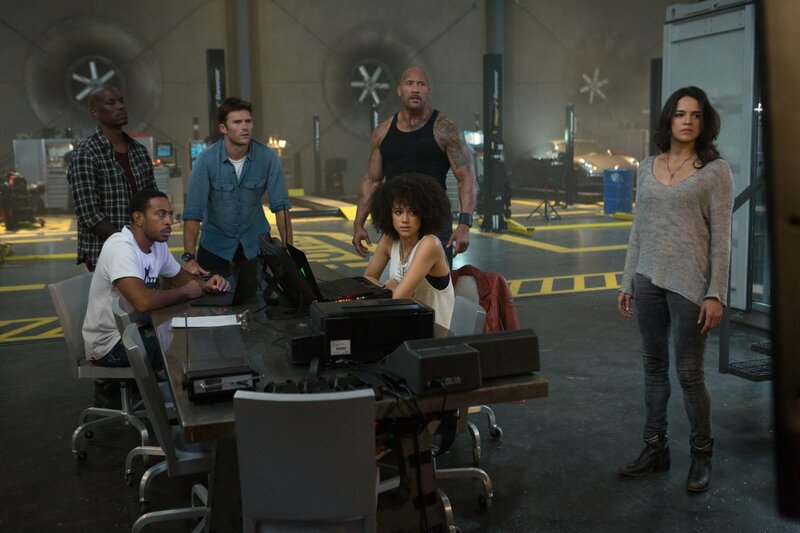 Ramsey (Nathalie Emmanuel) hacks computers and complies. Covert Opts leader Mr. Nobody (Kurt Russell) and his protegé (Scott Eastwood) enter and exit without care or concern. None of the aforementioned characters alter or shape the scope of the film; they are confined to its tedium. 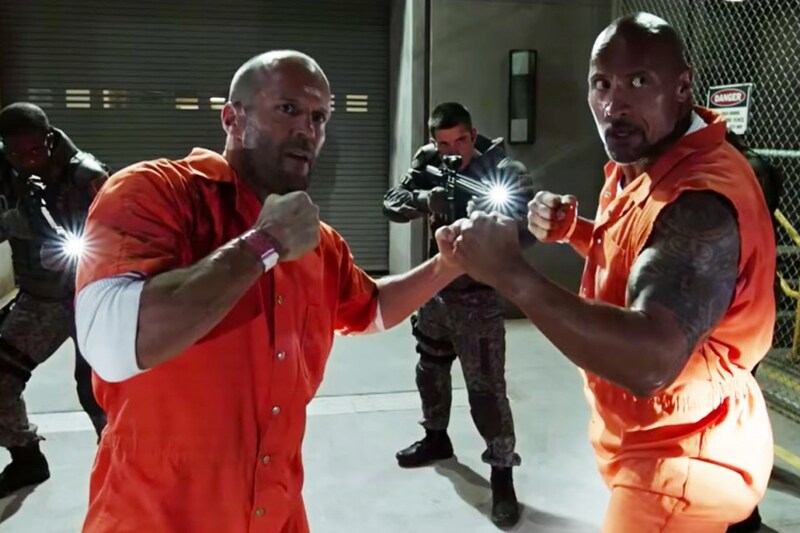 But that can’t be said for the feud between two bonafide badasses such as Luke Hobbs (Dwayne Johnson) and Deckard Shaw (Jason Statham). They wind up in a max security prison yards apart, separated by steel and inches of glass, huffing and puffing to break each other to bits. And their bravado sparks the right chemical reaction, segueing into the film’s best chain of events. It’s exciting, inventive, and reinvigorated. Yet not a second has been paid out-of-pocket or earned through hard labor. Shaw previously killed franchise favorite Han, but for whatever reason, writer Chris Morgan has granted him dispensation and visitation rights, forcing us and this Mötley Crüe of Bloods to fight alongside a lifelong member of the Crips. Stranger things have happened, yet while this “you versus me” kind of Mortal Kombat mentality is entertaining by its brutally animalistic nature, it overshadows and bullies the franchise’s core concepts into an inescapable and abject corner. What once was a minimalist action series proselytizing to the lonely and the lowly has made the ill-conceived transition towards a traveling circus fed by pyrotechnics, imagination, and as much CGI as the animators can be paid to render. There’s too much unfulfilled promise to F. Gary Gray’s film. The editing and the sub-par work from the second unit crew never builds towards a suitable action sequence that can be understood in its conception or its execution. Time and place and motion and feeling matter to movies, but not this one, because the fan-fueled longing for scale has begun to prioritize the worldwide locations instead of being dictated by and cohering to the story itself. 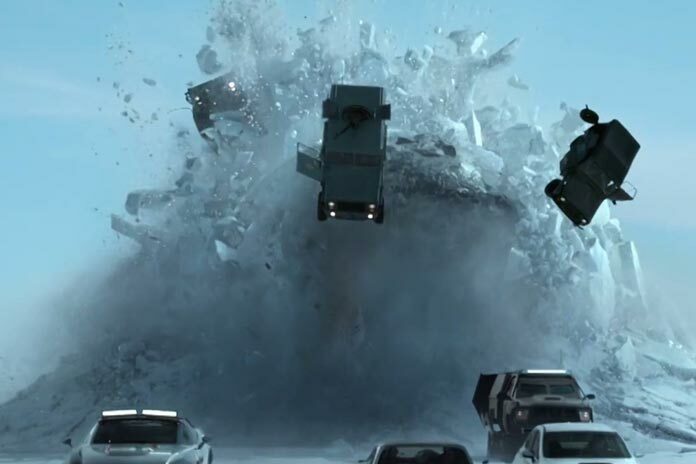 The Fate of the Furious abides by Murphy’s Law because what can go wrong will go wrong and does eventually go wrong, and in this case, falls as flat as a sharp octave note on a piano plunging from a skyscraper’s top floor.